Analytics continues to be a growing area; fetching measurable value to organizations and creating thousands of new jobs. Wherever we are in the adoption cycle for analytics, we owe it to the leaders for bringing us to this stage. Every year we identify the leaders that best exemplify the data-driven ideal for today’s decision economy. Here is a list of the top 10 visionaries and executives who made the biggest impact on the Indian analytics industry last year. Sudipta K Sen – Vice Chairman and Board Member at SAS Institute (India) Pvt. Ltd.
Atul Jalan is an entrepreneur for life. It is very unlikely that you would find him not working on something new. His secret sauce however, is imagination coupled with the ability to crank, accelerate and build momentum. As CEO of Manthan, Atul’s single objective is to keep the spirit of invention and innovation alive at Manthan – a spirit that has seen Manthan go on to become one of the leading contenders in analytics business solutions for consumer industries worldwide. Manthan is Atul’s fourth successful venture after MicroTrack, Cybertrek and Net Kraft. And today, is among the few Indian companies that can boast an analytics portfolio that several Fortune 500 companies rely on. Atul is a known voice on technology and is sought for his views on analytics and the consumerization of technology by publications and forums worldwide. What is not known though, is that he also dabbles in poetry and takes keen interest in a wide range of subjects from music to astronomy. Loquacious and a polymath, Atul can hold forth the camera obscura and Johannes Vermeer as he can on analytics. Three-dimensional printing and the uber-personalized era it will drive us into, is his current obsession. And if his maverick, entrepreneurial nature is anything to go by, this could translate into something new. And the bigger and more beautiful it sounds, the more passionate he is likely to be about it. Sameer Dhanrajani is a distinguished and widely recognized analytics thought leader and visionary known for his deep knowledge, innovation & ingenuity in the analytics space. He pioneered the Customer, Risk & Operations Analytics framework (CRO) to help clients realize transformative value from big data encircling enterprises and enable accelerated businesses impact through accentuated customer experience, robust risk management strategies and optimized business operations. Under his able leadership, Cognizant Analytics today is recognized as a leading player in the analytics service provider space, with an exemplary broad-based structure and an exhaustive repertoire of services, solutions and platforms spanning the advanced analytics & decision science spectrum, serving multiple clients across industries. As an accomplished professional, Sameer has provided the pivotal corporate direction and insights to galvanize Cognizant Analytics’ future as a distinguished market leader. He has helped practice grow considerably with a domain-led analytics consulting arm, a seasoned pool of data scientists and a diverse portfolio of IP-based non-linear solutions and business accelerators targeting key analytics interventions across the value chain of multiple industries. A fast tracker & a well-rounded professional with over 18+ years of industry experience, Sameer has donned various leadership roles to help deliver innovative analytics solutions to clients for faster, better decision making. Prior to Cognizant, Sameer was the Country Head for Fidelity National Financial and pioneered India’s first captive to be based on non-linear growth model with platform-based value propositions and developed Fidelity India into a hub of customer delight, delivery innovation, and operational dexterity.Before Fidelity, he worked as Vice President – Analytics for Genpact. Sameer is a distinguished member of the NASSCOM Analytics Special Interest Group and has been instrumental in leading the effort for positioning India as the next best destination of choice for analytics services. He has been recipient of “Outstanding Leadership Award” at India Human Capital Summit and “Exemplary Leader Award” during the Asia Pacific HRM Congress. 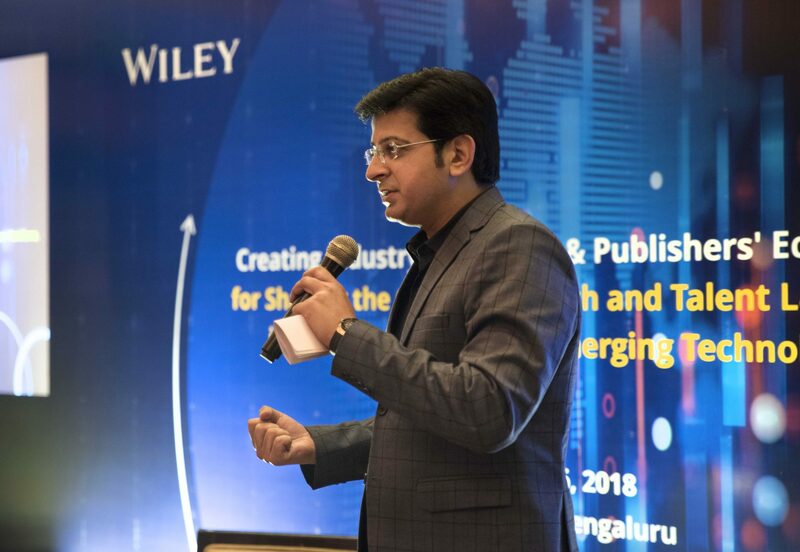 Sameer is also a well-renowned speaker and has been a panelist/moderator on various business, leadership and topical analytics themes at leading Analytics conferences/events/seminars including NASSCOM Analytics and Big Data Summit, ISB Digital Summit, CeBIT India, ASSOCHAM & CII Knowledge Roundtables etc. He has been quoted regularly across multiple business media and news publications. Sameer’s an active blogger and a well-known contributor in the academia space. He has delivered numerous industry guest lectures and mentored several fresh & experienced graduates on making a successful career in Analytics. He’s a trusted industry advisor to leading Business & Technology Schools in India including Indian School of Business, Analytics Society of India at IIM-B and Shiv Nader School of Engineering. Sameer has undertaken the executive program from the Indian Institute of Management, Calcutta and is a certified Six Sigma black belt. Dr Pulak Ghosh, Professor, Quantitative Methods & Information Systems Area at Indian Institute of Management Bangalore, is a member of the Data Privacy Advisory Group of Global Pulse – the UN Secretary-General’s Big Data innovation initiative. Ghosh, the only expert from India, along with international experts, will advocate responsible use of Big Data for sustainable development and humanitarian action. Prior to joining IIMB in July 2009, Professor Pulak Ghosh served as Associate Director, Novartis Pharmaceuticals, USA; Assistant Professor, Department of Statistics, Georgia State University, Associate Professor at Emory University, USA. He had also served on National Institutes of Health (NIH) grant review panel. Professor Ghosh is a visiting faculty at many national and international institutions. Prof. Ghosh is also an academic fellow at the Centre for Advanced Financial Research and Learning promoted by the Reserve Bank of India. He is an advisor of analytics to the State Bank of India. His main research interests are Big Data, Machine learning, Business analytics, Marketing analytics, Statistics, Banking analytics and the use of big data for social value creation. Professor Ghosh has made significant contribution in the Cancer incidence and mortality rate. Professor Pulak Ghosh obtained his PhD in Statistics from Oakland University, USA in 2003. 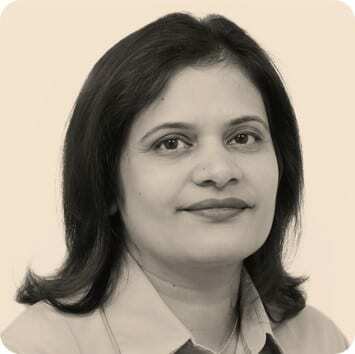 Mamatha Upadhyaya leads the Data Science and Analytics (DS&A) practice at Capgemini. As part of this role, she drives the ecosystem to facilitate Capgemini’s data science and analytics ambitions and practice across the globe. DS&A is one of the cornerstones of Capgemini’s Business Information and Management service line. Mamatha joined Capgemini in 2011 to incubate the offshore data science team in India and consolidate the global practice. Over the years, the practice has grown and as head of the practice, Mamatha determines key global go to market strategies and solutions that power the global practice and enable deliveries. Mamatha started off her career on the trading floors in Chicago as a quant modeler and a portfolio manager. This experience stood her in good stead when she moved back to India in 2005 and is reflected in her ability to handle both financial and business analytics conversations. Given Capgemini’s leadership position in big data technologies, DS&A also consults with Capgemini’s leading customers to help determine their choice of cutting edge tools and techniques that help innovate analytical solutions for sustained competitive advantage. Mamatha leads global workshops in helping customers define their data science vision and operationalize their strategies. Mamatha is also the brand ambassador for Capgemini India and is at the forefront of “Be the you you want to be” campaign. Mamatha is passionate about data science, and is a founding member of Datakind Bangalore. She is also a Cherie Blair Foundation Mentor Alumnus, empowering women worldwide. Srikanth Velamakanni, is the Co-founder and CEO of Fractal Analytics, one of the world’s most respected pure play Analytics companies. Srikanth’s passion for analytics makes him a thought leader in the space, an active public speaker and evangelist at large. Srikanth has a BS in Electrical Engineering from IIT-Delhi and an MBA from IIM Ahmedabad. A former investment banker, he co-founded Fractal 15 years ago. Prior to Fractal, he worked on structured debt transactions and collateralized bond obligations at ANZ Investment Bank and ICICI. At Fractal, Srikanth helps build value for the world’s finest CPG and financial services companies. In the quest to build world class business intelligence solutions, Srikanth and the team at Fractal Sciences actively explore the linkages between neuroscience, consumer behaviour and artificial intelligence. 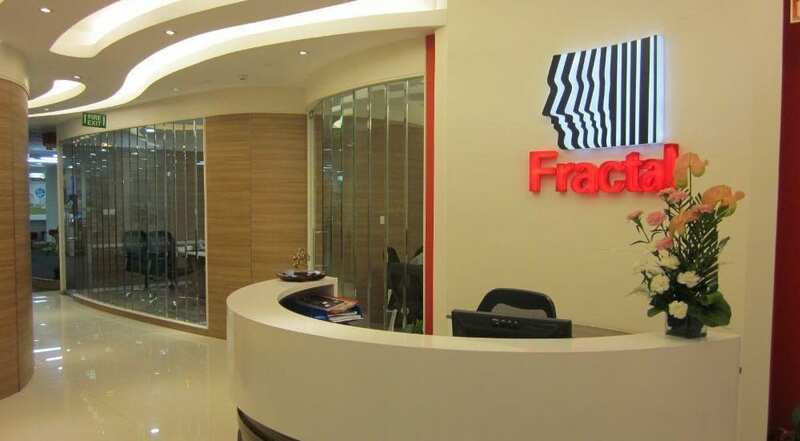 As a co-founder and the CEO, Srikanth believes that making Fractal one of the world’s best places to work is a key responsibility along with institutionalizing the company credo of impact, insight and innovation for clients the world over. Srikanth considers himself a lifelong student of Mathematics, having been bitten by the bug fairly early in school where he was an NTSE scholar as well as a participant in the International Mathematics Olympiad. Father to an active and curious two and a half year old, Srikanth also enjoys playing Squash, Snooker and Bridge. With Dell, Gana led their Business Analytics Practices for multiple Functions Globally. He spearheaded Business Excellence activities for AOL’s multiple Business functions in India. With Ford, he led Business process improvement programs across multiple functional domains. He is a Certified 6 Sigma Master Black Belt from Ford Motor CO. (from 6 Sigma Academy, US), and also a Registered COPC Coordinator (COPC Inc). Gana is a NLP (Neuro Linguistic Programming) Practitioner and trained in TRIZ (the Theory of Inventive Problem Solving). Gana holds a MBA in Operations Management, B Tech in Mechanical Engineering, and a Diploma in Financial Management. Prior to joining Flipkart, Ravi was the Chief Data Scientist and Global Head of the Analytics and Data Sciences Organization at 7 inc. At 7 Ravi and his team were responsible for invention, development, implementation, and optimization of all analytics and machine learning driven solutions that form the core of 7’s product offerings. Before joining 7, Ravi held a variety of leadership roles at Ford Motor Company. His contributions were in the applications of computing and analytics to the design and optimization of business and engineering systems. He was the recipient of a Henry Ford Technology Award – the highest technical recognition at Ford. Ravi was also a vice president and part of the executive leadership team of Mu Sigma Inc.
Ravi has 20+ patent filings, many refereed publications and has presented as invited/ keynote speaker at several international conferences. Ravi holds a Bachelor’s degree in Engineering from the Indian Institute of Technology – Madras, a PhD from University of Wisconsin-Madison, and an MBA from the Ross School of Business, University of Michigan – Ann Arbor. Thanks Bhasker to see all Gems at one place. Kindly include authorised Twitter and/or Facebook handles with profiles in next. Bhasker, Thanks for sharing this info. Great to know all the leaders.